The 'Iron Man 3' actress has been awarded the annual honour by the US magazine beating off competition from the likes of Amanda Seyfried, Jennifer Lawrence, Pink and Halle Berry. However, Gwyneth insists if people could see her at home in her casual clothes they wouldn't think she was so beautiful. Speaking to the publication, she said: "Around the house, I'm in jeans and a T-shirt. I don't really wear make-up." If she ever does opt for glamour at home then her husband Chris Martin will make fun of her. She added: "He'll make a joke about it. If I've gotten fully dressed up, he'll be like, 'Oh, wow! You're Gwyneth Paltrow!' Because he's used to seeing me in like baggy shorts and frizzy hair." Gwyneth revealed her eight-year-old daughter Apple is already interested in fashion and beauty and she lets her wear a little make-up on special occasions. The 40-year-old screen star - who also has a seven-year-old son, Moses, with Coldplay frontman Chris - said: "When we're home sometimes, she'll put on mascara. And sometimes I'll let her wear something out to dinner - but just a little dab. 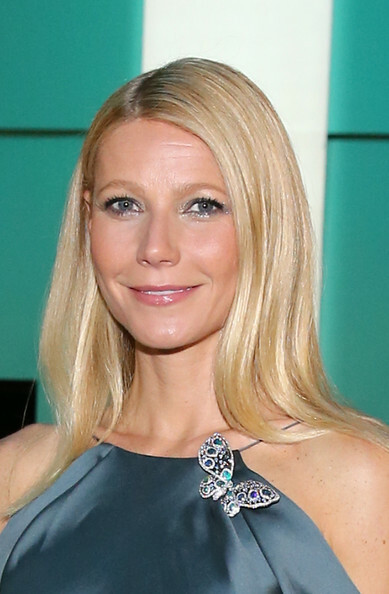 In September, People magazine also honoured Gwyneth for being the World's Best-Dressed Woman. Last year, Gwyneth's friend Beyonce was bestowed the World's Most Beautiful Woman title by People.